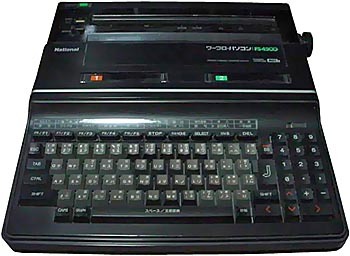 This MSX 2 computer was marketed as a wordprocessor system, and indeed it is! It has a big 24 dots thermal printer built-in, wordprocessor software (Word Processor, MSX Sentence Paragraph Exchanger, Dictionary, MSX Address Book, Name Card and MSX JE 1 & 2). Impressive. It was available in black or white case. see more NATIONAL FS-4500 Ebay auctions !